COBBLESTONE 90MM X 90MM FLAMED SURFACE NATURAL CUT EDGES,MOUNTED ON MESH SHEETS. 20MM-25MM THICK. NATURAL SPLIT SIDES WITH A EXFOLIATED NON SLIP SURFACE COBBLESTONE ON MESH SHEETS FOR EASY INSTALLATION. THESE COBBLES HAVE NATURAL SPLIT SIDES AND AN EXFOLIATED SURFACE TO GIVE THAT AUTHENTIC EUROPEAN VILLAGE LOOK WITH A FLAT SURFACE. 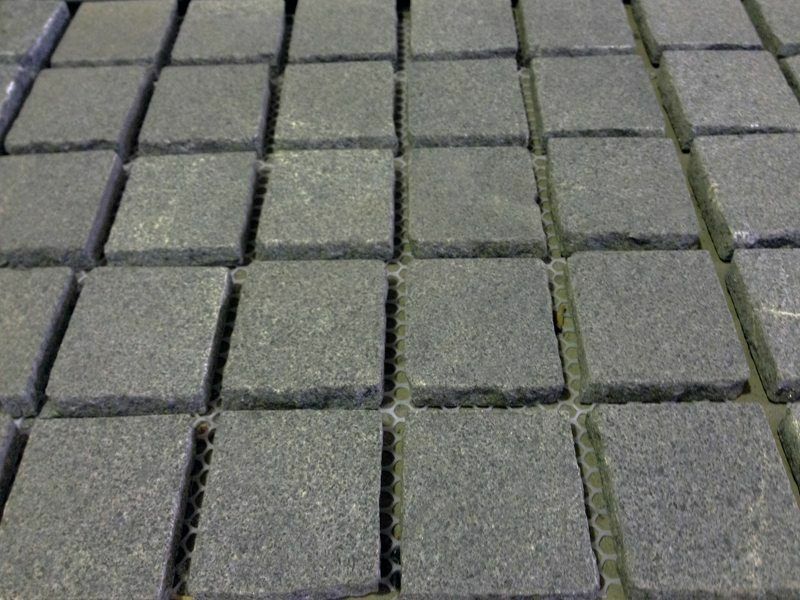 THESE COBBLE STONE PAVERS MAKE GREAT DRIVEWAY PAVERS AND OUTDOOR PAVERS.